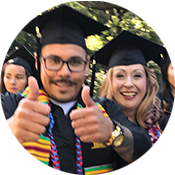 The Gavilan College Writing Center serves the campus community by fostering, celebrating and encouraging writers and the varied and multiple purposes and audiences that writing serves. The center assists writers in identifying and developing tools and strategies to meet goals for their writing both in and out of the classroom. Likewise, the center collaborates with instructors in identifying and developing best writing teaching practices across the curriculum. It offers space for exploration and reflection on a wide range of written material, promotes an appreciation for literature and literacy, and cultivates diverse writers’ voices and the communities that nurture them. 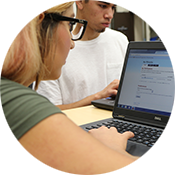 The Writing Center offers free one-to-one reading, writing, and research help to all Gavilan students for any class (not just English!) as well as ONLINE tutoring. We're now in Library 168! Come visit us in the the Library next to the reference desk through the Learning Commons door (LI 168). You can come in for a drop-in appointment, view the presentations online, or come in for a Learning Commons workshop. Get ready for the 250 and 440 In-Class Essay here. Immigrant Legal Resource Center , What do I need to know if the DACA program ends? FREE Walk-in Legal Consultations / Consultaciones Gratuitas in/en 1415 Koll Circle, San Jose, Suite 108 . Please Check our calendar here. Porfavor de checar el calendario aqui.